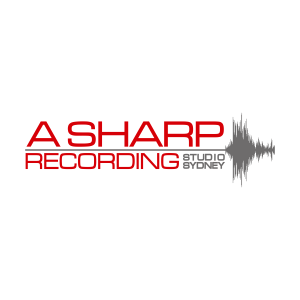 With the studio conveniently located close to the M5 and Rail T2 line to Sydney Central there are a number of hotels in which to stay whilst recording. The studio can also provide transport for artists working at the studio. For more help on the best type of accomodation required please don't hesistate to contact us. Novotel Sydney Brighton Beach offers premium 4.5-star hotel accommodation overlooking the beautiful, white sandy beaches of Brighton-Le-Sands and Sydney's picturesque Botany Bay. The hotel has a spacious and relaxing beachside feel, superbly located in the heart of Brighton-Le-Sands' new foodies strip, teeming with cosmopolitan restaurants and cafés. Only 4km from Sydney Airport and 7km from the heart of Sydney CBD, our hotel is also convenient to iconic attractions such as the Sydney Opera House, Taronga Zoo and Sea Life Sydney Aquarium. Travelodge Bankstown, Sydney has just refurbished alll the Guest Rooms throughout the hotel. Guest Rooms have been refreshed with new carpet, beds, bathrooms and artwork reflecting the locale. Brand new Executive Rooms located on higher floors have been added, complete with Nespresso machines. Within a short drive to the studio a good option. The Narwee Hotel is a family owned local hotel providing Accomodation, Sports bar, Bistro, Terrace Area and large parking for patrons. With 14 modern, bright rooms located upstairs for overnight accommodation. All rooms have ensuites, reverse cycle airconditioning and T.V. Fridges and tea/coffee making facilities are also provided. Prices start from $80 per night.